Anais is a lowly scullery maid in the Great House. When she discovers a book of magic, she breaks the law to secretly practice the spells within. Her hopes of a better — and more magical — future are dashed when a girl from the kitchen goes missing. Anais stumbles into a series of events that threatens to undo everything she knows and has grown to love. 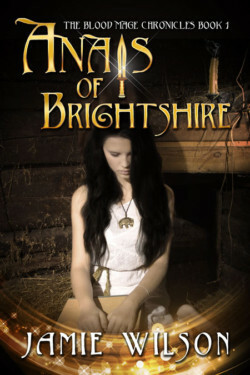 Anais of Brightshire is the first installment in the Blood Mage Chronicles, a YA fantasy series set in a fear-bound medieval village.